This was the day Dana White dreamed about from the beginning. The UFC president's brainchild has finally reached a big deal with network television. 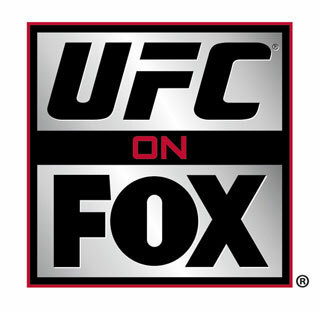 Joined by FOX Sports Media Group Chairman David Hill and FOX Sports President Eric Shanks, White along with UFC owner Lorenzo Fertitta announced a seven-year agreement between the fight promotion and the television network during a Los Angeles press conference. Beginning on Nov. 12, FOX will air four major UFC fight cards each year. The UFC's reality show "The Ultimate Fighter" will be moving from Spike to FX. The format will change from a taped show to airing live fights each Friday night. During the two seasons each year, FX will air every "Ultimate Fighter" fight live. There will also be six UFC Fight Nights each year on FX. "We will own Friday nights," said Shanks. "There will be 32 total fight nights each year on FX. Hill credited super agent Ari Emmanuel (the real life Ari Gold from HBO's "Entourage") with pushing the for the UFC on FOX behind the scenes and Fertitta/White convinced him over the years. "There's no yesterday in TV. TV is about the next big thing. We first started talking 10 years ago. Lorenzo said something then. He said what boxing was to my generation is what UFC will be and is to the next generation," said Hill. "TV can't make a sport. The people have to speak. What Dana, Frank and Lorenzo have done is taken a little niche sport, and in 10 years have made it into a mainstream sport. The key was recognizing what the people wanted. It's the ultimate democratic thing." "'The Ultimate Fighter' Season 14 in September will be our last. We are increasing our commitment to distinctive, original series that we own such as "Auction Hunters" and "Bar Rescue" which are delivering on our goal to reach a broader audience,"� said Spike's VP of Communications David Schwarz. "Our 6-year partnership with the UFC has been incredibly beneficial in building both our brands, and we wish them all the best in the future." The UFC will also have programming on FUEL. When asked about discussion for a UFC channel Fertitta it might be a little too soon for the fight promotion to run a network. Fertitta, along with his brother Frank, bought the struggling promotion back in 2001 for just two million dollars. The company struggled through 2005 and was nearly put on the block for sale. Multiple reports claim the new deal with FOX is worth $90 million a year.